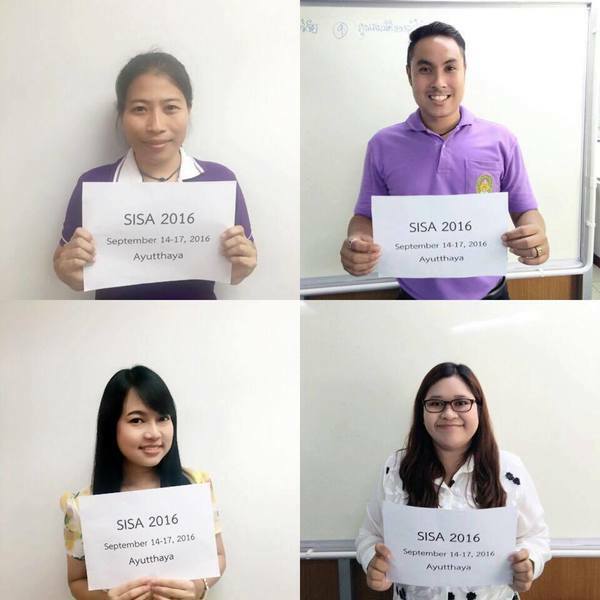 Free bus service for SISA 2016 participants will be available from Suvarnabhumi Airport (BKK) to Phra Nakhon Si Ayutthaya, Thailand. The number of seats for each bus is limited based on the registration information. The meeting point at Suvarnabhumi Airport (BKK) is near EXIT GATE 3 in the arrival hall on 2nd FLOOR. The arrival procedures given by the airport might be helpful to get the meeting point as well as the meeting point map (direct link to the map image). The workshop staffs will be there to wait for your arrivals. Depart From Suvarnabhumi Airport at 7:30 AM. Depart From Suvarnabhumi Airport at 6:00 PM. Depart From Phra Nakhon Si Ayutthaya at 6:00 PM. Depart From Phra Nakhon Si Ayutthaya at 5:00 AM. Depart From Phra Nakhon Si Ayutthaya at 4:00 PM.